Writers for "House of Cards" are trying to resolve the biggest cliffhanger they've ever faced -- the future of their show. The future of the Netflix series remains up in the air, following a string of allegations against star Kevin Spacey that have resulted in his termination from the series and a halt in production. Behind the scenes, however, the show's writers are facing a ticking clock as they scrap a Season 6 plan eight months in the making and find a new direction for the show's final season. Sources close to the production told CNNMoney that it's unlikely the show will be canceled. In fact, writers are kicking around ideas on how to rewrite the show without its biggest star. On the British version of "House of Cards," Francis Urquhart, the inspiration for Spacey's Frank Underwood, played by Ian Richardson, was shot and killed in the final installment. The creative weight rests of the shoulders of Melissa James Gibson and Frank Pugliese, who as showrunners lead the writers' room. Gibson and Pugliese, who were promoted to their posts after creator Beau Willimon left ahead of Season 5, have not made any public statements about the future of the show. In a typical writers room, the showrunners would be tasked with arcing out the season, with help and ideas from the rest of the writers. Different writers are then assigned individual episodes, which are workshopped as a group. The showrunners have final say on the direction and pacing of the season and episodes. The decision on whether to proceed with Season 6 after writers find a new direction will rest with Netflix and producer Media Rights Capital, both of which declined to comment for this story. Netflix suspended production on Season 6 after allegations of sexual harassment and assault were made against Spacey. 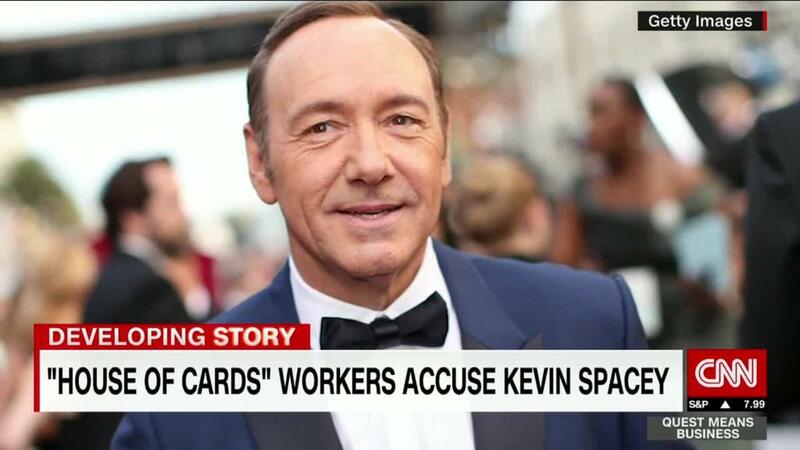 He was fired from the show after a subsequent report by CNN that included testimonies from eight current and past production members who accused Spacey of inappropriate behavior on set, including one accusation of sexual assault. The cast and crew will know by Thanksgiving what the future holds for "House of Cards," a source told CNNMoney. Staffers are still being paid during the suspension, but they are in limbo until Netflix and Media Right Capital make an official announcement, the source said. "House of Cards" had been filming in the Baltimore area for about two weeks prior to the production stoppage on October 31. Cast and crew have a finite amount of time to complete Season 6 due to other contractual obligations, a source said. In most cases, extending that commitment due to unforeseen delays is not always possible, as most often have other jobs lined up. Agents for stars Michael Kelly and Robin Wright did not return CNNMoney's request for comment regarding their contracts for "House of Cards." But another source close to the production told CNNMoney that "House of Cards" was slated to wrap in May before these allegations about Spacey prompted the show to go hiatus. It is unclear whether that is now subject to change. There's a lot at stake. Over 2,000 cast, crew and extras are waiting for a decision that could impact their livelihoods. "House of Cards," which for five seasons has been filmed in and around Baltimore, is one of the state's biggest productions. CNN's Lisa France contributed to this report.